Your assistance and help is also needed to attend the Buncombe Commissioners meeting, at 4:30PM, 200 College Street, Suite 326, Asheville, to oppose refugee resettlement to our area. See here for Refugee Providers. Asheville has two of them. Once the flood gates are open, Asheville and a 50 mile radius become the target area. It’s expensive, secretive, risky, and unfair. See drop down menu links under Local and State Issues for info. 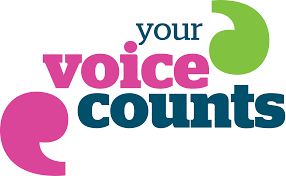 Please have your voice heard. Submit letters to the editor. Live video is available only at the time of the meeting. You can view archived meetings on our video page. There are 100 counties in North Carolina and each one has a Board of Commissioners. In Buncombe County we have a seven member Board serving staggered four-year terms. They are elected by the people in partisan elections. In Buncombe County the Chairman is elected separately and also serves a four-year term. The Board oversees all the departments in the County through a County Manager form of government. The Board sets policy that is carried out by the County Manager. The Commissioners enact policies such as establishment of the property tax rate, regulation of erosion control, noise and subdivisions outside municipal jurisdiction, and adoption of the annual budget. Upcoming meeting Agenda is available online. Brownie is a Partner and owner at Headwaters Solar, a solar energy company based in Asheville. He grew up on a working farm in the Blue Ridge Mountains, is a graduate of Warren Wilson College and served two terms on the Asheville City Council prior to being elected to the Buncombe County Commission in 2012. Brownie served on the boards of the Asheville Regional Airport, Economic Development Commission, Metropolitan Sewerage Authority, NC Conservation Network and NC Sustainable Energy Association. He currently serves on the board of the French Broad River Metropolitan Planning Organization. Brownie lives with his wife, Beth, and two daughters in the Montford neighborhood. Rev. Jasmine Beach-Ferrara grew up in Chapel Hill and was raised by her mom, a public health nurse. Today, Jasmine and her wife, Meghann Burke, live in the East End neighborhood of Asheville with their one-year-old. Jasmine is the founding Executive Director of the Campaign for Southern Equality (CSE), an Asheville-based non-profit that launched in 2011 to promote full equality for LGBT people and families across the South. Jasmine is an ordained minister in the United Church of Christ. Al Whitesides is recognized throughout Asheville as a successful businessman, a community leader and a living touchstone to the city’s struggle to eliminate segregation. Mike Fryar has been a resident of Buncombe County for 50 years. He attended A.C. Reynolds High School and served in the U.S. Navy. A self-made man and small business owner for 32 years, Mike started his career sweeping floors for the legendary Banjo Matthews — working his way up the ladder and eventually starting his own engine business, Fryar Performance, in 1980. Ellen is a mother, grandmother, and small business owner who came to western North Carolina in 1995. She is serving her first term as County Commissioner. Ellen has managed a small business all of her working life. Consequently, creation of living wage jobs is of utmost importance to her. Being a good steward of education funding, economic development and the environment is what drives her work as a County Commissioner. A 34 year resident of Buncombe County, Joe is a member of Maple Ridge Baptist Church in Candler, currently serves on the Metropolitan Sewerage District Board, the Tourism Development Authority and is retired Vice President with Berkshire Hathaway (Clayton Homes). Robert Pressley is a Buncombe County native and business owner. He has owned Celebrity’s Hot Dogs on Brevard Road since 2004. Before that, he was a NASCAR driver like his father, Bob Pressley. 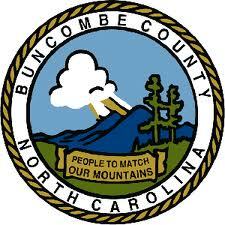 Click here for Buncombe Co. Bd. of Commissioners email, mail addresses and phone numbers. Click here for Buncombe County’s website.